DNA solves another mystery when 57 year old Fred George discovered he was switched at birth. Fred's father, John George, occasionally - sometimes in fun and sometimes more seriously - accused his wife of having had an affair after Fred was born since he looked nothing like the rest of the family. Frederick George was raised as a Roman Catholic in a Lebanese family of 13 children but should have been raised in a Scottish Presbyterian family of five, if not switched at birth. "I was accidentally placed in the wrong bassinet at the hospital the night I was born and did not discover this until I was 57-years-old," says George. "The result is that I lived a life that should have been someone else's and he lived a life that should have been mine." George tells the heart-wrenching story of two families forever impacted by a nurse's simple mistake in the autobiography, Switched at Birth: My Life in Someone Else's World (ISBN- 978-1439204825, Sept 2008, BookSurge, 218 pages, $15.99). 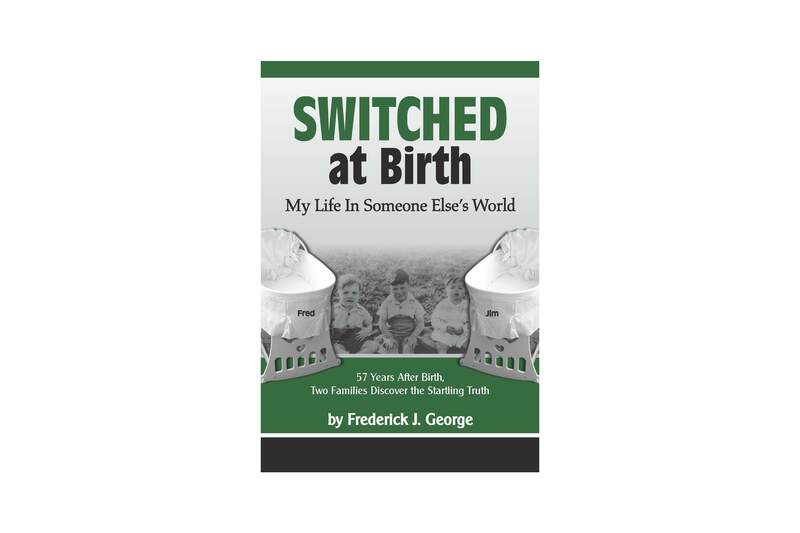 Switched at Birth tells of growing up with a father who always suspected George was someone else's son, of how the birth switch was discovered, and how the author came to terms with the fact that he had been living in someone else's world. "The man I knew as my father, John George, occasionally - sometimes in fun and sometimes more seriously - accused his wife of having had an affair after I was born," says George, "I didn't look Lebanese. As it turns out, I wasn't even slightly Lebanese!" George was raised the son of John and Ngaire George in a Lebanese community in Dunedin, New Zealand, where he remained for 26 years until moving to America about 35 years ago. It took more than half a century for George to learn he was actually born the son of Gordon and Helen Churchman. Of his four parents, only birth mother Helen Churchman is still alive at age 85 in New Zealand. The other "switched child", Jim Churchman, had become good friends with the author's brother, Michael George, and met the George family members growing up. 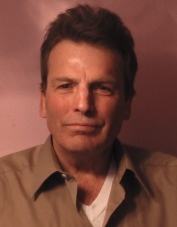 As an adult, Jim Churchman suffered a heart attack and began exploring family medical histories for heart attacks - none in the Churchman's, several in the George's. At the request of the author's brother Philip, via Jim Churchman, Frederick George took a DNA test while visiting New Zealand and the results confirmed the switch. "The mother who raised me, Ngaire George, was the greatest person in my life and will always be my mother," says George, "and Helen Churchman will always be Jim's mother. I can't break away from my history. I love these people. I've grown up with the Georges. I can't leave them or trade them in as you might do with an old shoe." Helen Churchman writes her recently-discovered birth son once a week in an attempt to bond with a son she has not known for 56 years. "We are in pretty close touch," says George, "and we are trying to get to know each other. She is one of the reasons I wrote this book. I want her to know her son; to know not just that I am but to know who I am." Another reason George wrote Switched at Birth was to offer advice to anyone who has been adopted, fostered out, or switched at birth to be themselves, maintain old family ties while bonding with a new family, accept their fate and get on with life. Switched at Birth is available at fine booksellers everywhere, online at Amazon, BN, Ablebooks, BooksinPrint and the author's web site: http://www.switchedatbirth.org FOX-25 Boston calls it an "incredible story." Frederick George and wife Paula have two grown children and a grandchild and are living in Pembroke, MA. George, a veteran of the New Zealand Army, has worked in a slaughterhouse, maintenance in a factory, as a landscaper, baker and hairdresser among many other jobs. He now works in a deli department at a supermarket when not spending time with his children and infant grandson.